Open yourself up to the seen and unseen magic of your ancestors and animal totems. 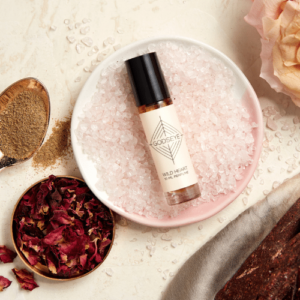 Spirit Guides holds the soft voices of your ancestors, animal totems, plant medicines and all of your spirit allies. They are watching the miracle that is YOU and are cheering with such joy for the person you are! This bright, green and citrusy scent opens you up to receive help and support from the spirit world and reminds you that you are not alone. 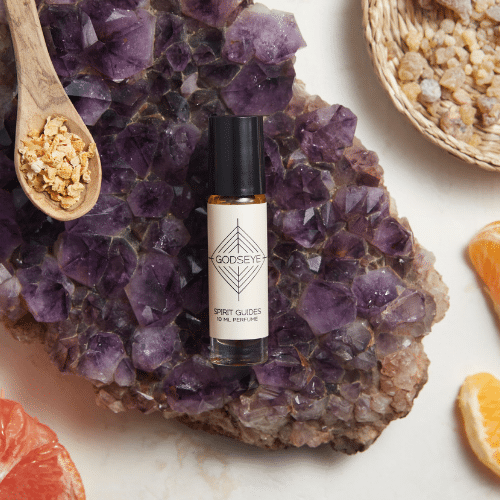 Organic essential oils of Bergamot, Grapefruit and Vetiver are supercharged with pieces of Amethyst and Frankincense Resin. Amethyst: Opens up the ThirdEye and Crown Chakras and stimulates communion and communication with your guides and angels. Helps you to realize your inherent power and make your dreams a reality. 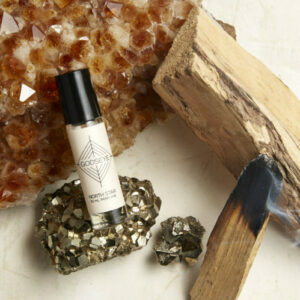 Frankincense Resin: Helps you to create new perspectives based on light and truth. Heals feelings of abandonment and reminds you that you are loved and protected. This is my daily ceremony oil. I use this most frequently. I love the softness of the scent and the earthiness. I like what I becomes after it’s been on a while. I find it both very grounding and a reminder that I’m never alone. 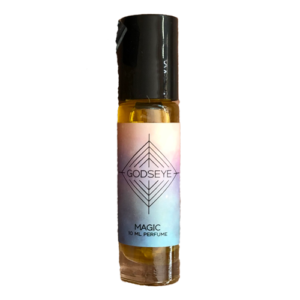 Spirit Guides Oil is a beautiful scent that lifts me every time I use it. I actually carry it with me in my bag because whenever I feel anxious its lively and comforting smell brings me back to neutral. I wear this also when I am thinking of loved ones who have transitioned. This is my go-to, everyday, clean scent. It is earthy and light and perks me up as soon as I put it on. Spirit Guides grounds me and helps me stay focused, so I use it a lot at work. I love this uplifting scent! So glad you love it Stefanie! Certainly a powerful prayer in this oil! USE IT!